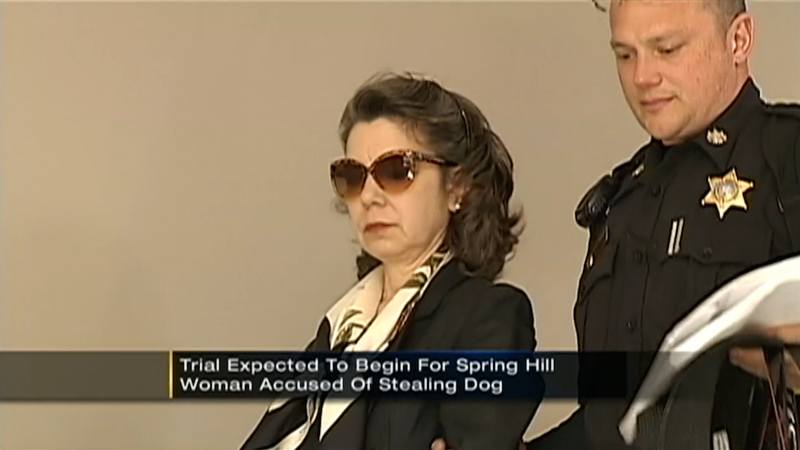 A Pittsburgh woman is facing up to 10 years in jail after being found guilty of stealing the dog of her cancer-stricken neighbor and then having the dog put down. Jesus, what the hell is wrong with people? On Thanksgiving last year, Mark Boehler, a man suffering from stage 3 esophageal cancer reported his dog, a Siberian husky named Thor, went missing. For months there was no word of the whereabouts of his dog until news surfaced that his neighbor, 58-year-old Gisele Paris (a weirdly perfect glamorous/villainous name) had stolen Thor. She was arrested in February on a tip and refused to disclose to police what actually happened to Thor. Her attorney later claimed that she didn't steal the dog from Boehler's yard; she found him and took him in and cared for him. It was then discovered that on February 10 this year, Paris had a licensed veterinarian come to her home and euthanize Thor, claiming he was sick and neglected. Boehler confirmed Thor had a tumor but maintained he was not at risk of death and in court, a vet testified that the dog was healthy and had a treatable condition. "I was thrilled to death she got convicted," said Boehler. "If somebody did that to her dog, she would be crying like a baby. She knew what she did. She took that dog." Paris is out on bond, currently under house arrest and is waiting on another trial regarding charges of resisting arrest and assaulting the officer who took her in for the Thor incident. God, I cannot begin to fathom what Boehler has gone through for the past year. The conviction may be a small glimmer of justice in a truly fucked up situation.